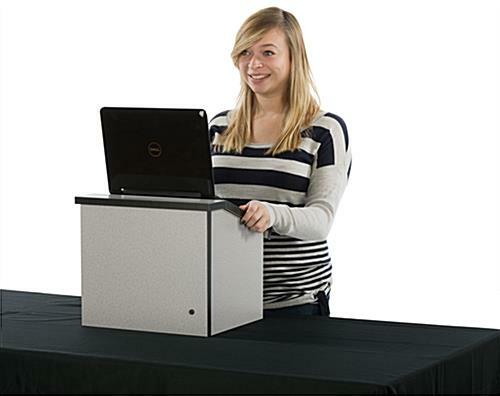 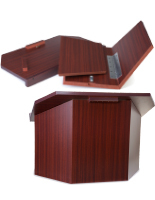 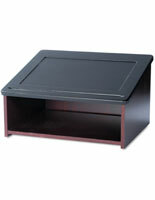 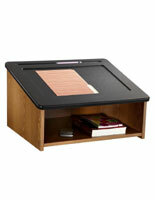 This foldable desktop podium is ideal for tradeshows, open houses, and other temporary events. 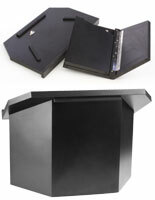 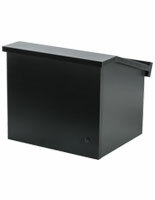 Each tabletop stand lectern collapses down to just 5”h for easy storage. 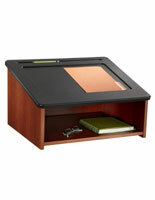 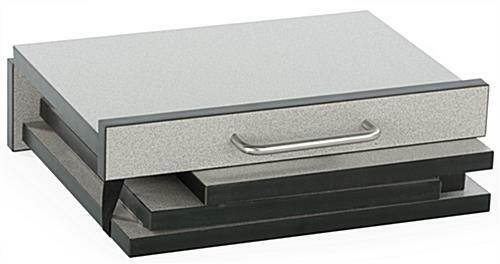 The portable gray desktop podium has .5”d lip for holding presentation notes in place. 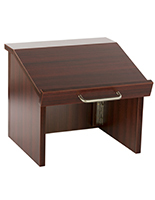 Each tabletop stand features a handle for easy transportation between locations. 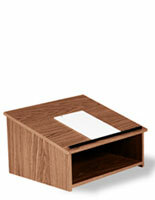 The desktop podium takes just seconds to set up! 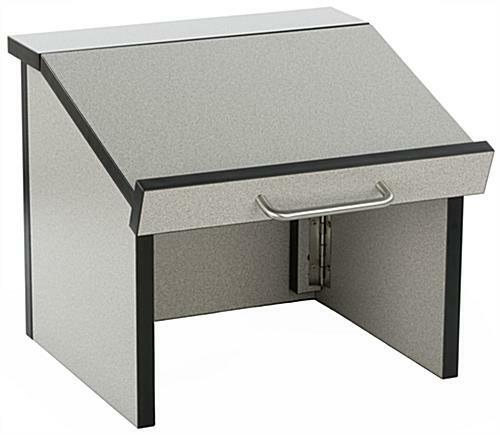 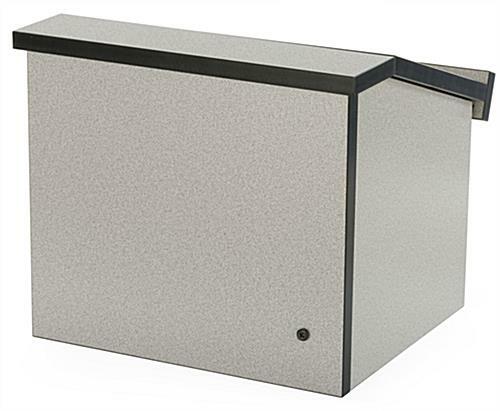 Each portable lectern has a gray melamine finish.